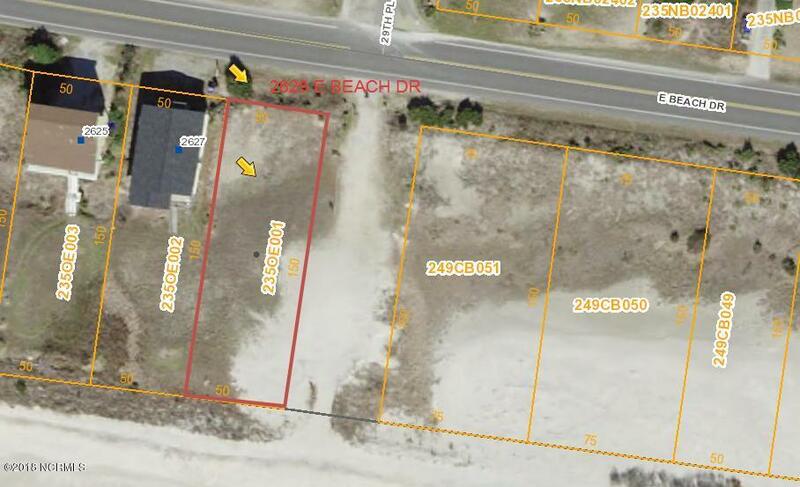 Oceanfront lot priced to SELL in premium corner location! Imagine your future home right on the ocean! Are you ready for BEACH life? The town of Oak Island offers numerous amenities such as golf, tennis, basketball, picnic area, boat launches & public docks & water accesses yet NO hoa fees! FLOV has been marked and does not provide development area at this time. Invest in the future & start working with plantings at this price!